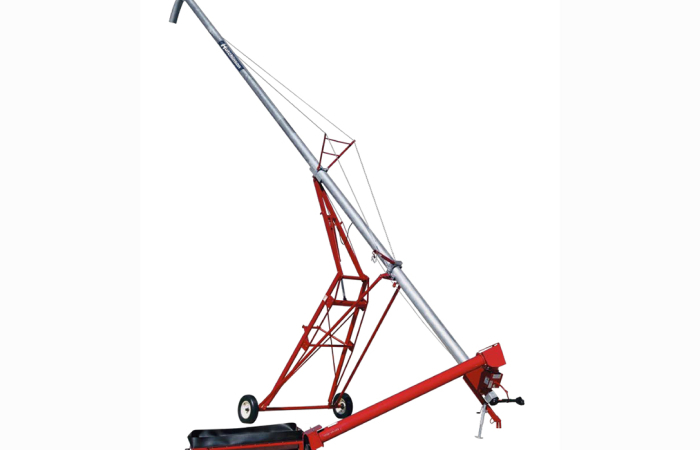 The main tube of the Top Drive is a durable galvanized or powder coated red (6″ models are galvanized only). 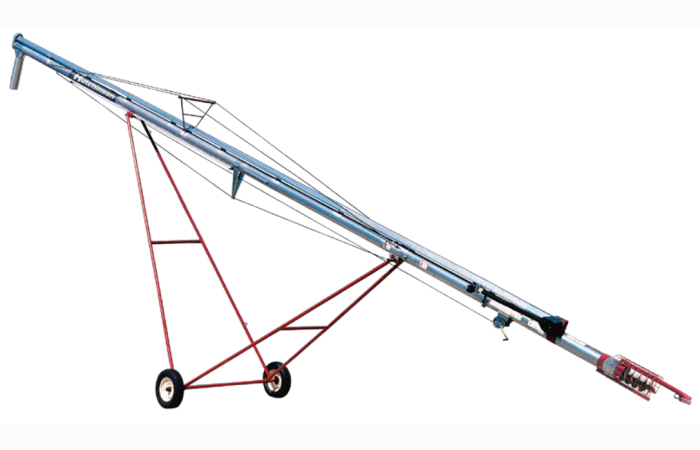 Heavy-duty aircraft cable with trussing aid in supporting the main auger. W ide wheel base design and scissor type undercarriage constructed of high strength steel that means greater stability during operation or while being towed. The tapered roller bearing hubs permit increased towing capability. A manual winch is standard equipment with labor saving hydraulic or electric winch options available. Hydraulic winch standard on larger 13” models.